COSIs are Communities of Special Interest. They have been built around major research themes within computational biology, or important activities such as networks of training, mentoring or support. COSIs hold regular meetings usually as SIGs or workshops in the main ISMB meeting. The ISCB COSI Connect web-portal displays information on COSI themes and activities. The booth will showcase the ISCB Affiliates program, which links ISCB and regional non-profit membership groups, centers, institutes and networks within specific geographic regions. Come to learn about the meetings and activities of ISCB's current Affiliates, and to discuss the possibility of affiliating your regional group with ISCB. F1000Research is an Open Science publishing platform offering immediate publication of posters, slides and articles with no editorial bias. All articles benefit from transparent peer review and the inclusion of all source data. F1000Research publishes the ISCB Community Journal. The EMBL Australia Bioinformatics Resource (EMBL-ABR) is a distributed national research infrastructure providing bioinformatics support to life science researchers in Australia. It was set up as a collaboration with the European Bioinformatics Institute (EMBL-EBI) to maximise Australia’s bioinformatics capability. This close partnership is made possible in the context of Australia’s associate membership of EMBL. Its Hub is hosted at VLSCI through a funding agreement between the University of Melbourne and Bioplatforms Australia. At the European Bioinformatics Institute (EMBL-EBI), we help scientists realise the potential of ‘big data’ in biology, helping them exploit complex information to make discoveries that benefit mankind. We manage the world’s public biological data and make it freely available to the scientific community via a range of services and tools, perform basic research and provide professional training in bioinformatics. We are part of the European Molecular Biology Laboratory (EMBL), a non-profit, intergovernmental organisation funded by 21 member states and two associate member states. Our 570 staff represent 57 nationalities, and we welcome a regular stream of visiting scientists throughout the year. We are located on the Wellcome Genome Campus in Hinxton, Cambridge in the United Kingdom. Looking to publish your research? Discover Springer's print and electronic publication services, including Open Access! Get high-quality review, maximum readership and rapid distribution. Visit our booth or springer.com/authors. You can also browse key titles in your field and buy (e)books at discount prices. With Springer you are in good company. The scope of the sbv IMPROVER project, funded by PMI, is the verification of methods and concepts in systems biology research. It already successfully demonstrated that crowdsourcing is a viable strategy to verify scientific methods and concepts in an industrial context. The latest challenge is the Systems Toxicology Computational Challenge and aims to to verify that robust gene signatures predictive of exposure status to chemical mixtures can be extracted from blood gene expression data. NDEx, the Network Data Exchange, is a collaborative software infrastructure for storing, sharing and publishing biological network knowledge. The NDEx Project maintains a free, public website and is developed in close collaboration with the Cytoscape team and the Ideker laboratory at UC San Diego. European Conference on Computational Biology (The Hague, The Netherlands, 3-7 September 2016) warmly welcomes scientists working in a variety of disciplines, including bioinformatics, (computational/systems) biology, and medicine. Participating in ECCB 2016 will be the perfect opportunity to network and keep abreast of cutting edge research. Early bird registration deadline: July 29. ELIXIR Denmark, which is established in partnership between Danish Universities, leads the community-driven development of the ELIXIR Tools and Data Services Registry. 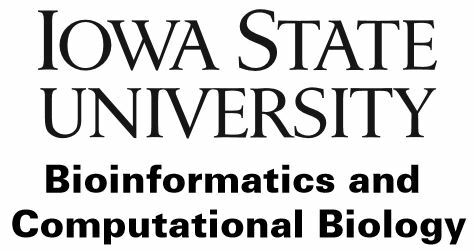 This provides essential scientific and technical information about analytical tools and data services for bioinformatics; It is freely accessible, via the bio.tools portal, and available for registering resources. Recursion is a 2-year-old startup with fewer than 20 people, but we generate rich biological data at a pace comparable to some of the biggest institutions doing biology and disease research. We combine high-throughput cellular imaging experiments with intelligent computational methods, rapidly testing thousands of drugs against hundreds of diseases.